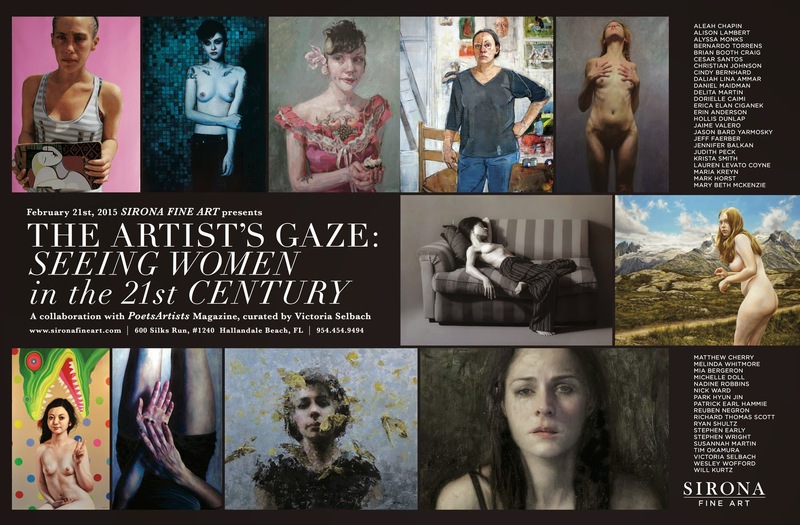 Sirona Fine Art, PoetsArtists Magazine and over 40 prominent male and female artists collaborate in this ambitious online, print and gallery exhibition. This survey presents the female form and persona as viewed by other artists, with the artist themselves as subject, and in the greater context of the society we live in. 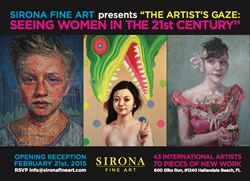 Hallandale Beach, Florida -- February 10, 2015 -- Miami Art Scene™ announces Sirona Fine Art’s high profile art exhibition ‘The Artist’s Gaze: Seeing Women in the 21st Century’, from Saturday, February 21 – Sunday, March 15, 2015 in the heart of The Village at Gulfstream Park. 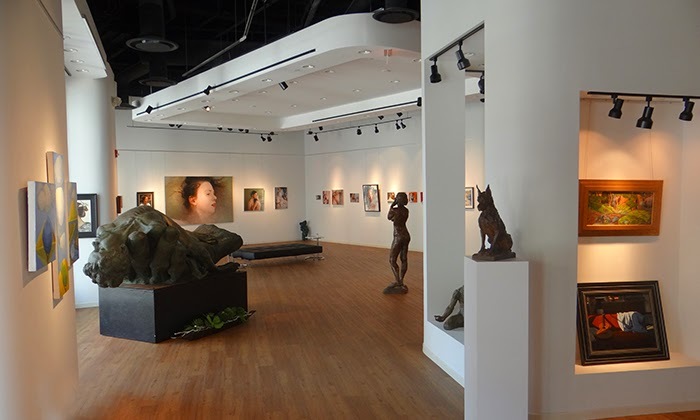 These contemporary sculptures and paintings are introspective, provocative, sensitive and declamatory visual statements. PoetsArtists magazine publishes the artwork in a dynamic printed and digital issue along with compelling artist statements and essays to match the visual talents involved. Artists included in the exhibition are: Aleah Chapin, Alison Lambert, Alyssa Monks, Bernardo Torrens, Brian Booth Craig, Cesar Santos, Christian Johnson, Cindy Bernhard, Daliah Lina Ammar, Daniel Maidman, Delita Martin, Dorielle Caimi, Erica Elan Ciganek, Erin Anderson, Hollis Dunlap, Jaime Valero, Jason Bard Yarmosky, Jeff Faerber, Jennifer Balkan, Judith Peck, Krista Smith, Lauren Levato Coyne, Maria Kreyn, Mark Horst, Marshall Jones, Mary Beth McKenzie, Matthew Cherry, Melinda Whitmore, Mia Bergeron, Michelle Doll, Nadine Robbins, Nick Ward, Park Hyun Jin, Patrick Earl Hammie, Reuben Negron, Richard Thomas Scott, Ryan Shultz, Stephen Early, Stephen Wright, Susannah Martin, Tim Okamura, Victoria Selbach, Wesley Wofford and Will Kurtz. “I was attracted to the ‘Artist’s Gaze’ show from the sheer level of talent that was proposed, a small army of world-class artists and a universally relevant and important theme,” said Timothy Smith, Gallery Director of Sirona Fine Art. Sirona Fine Art is a grand showcase located at 600 Silks Run #1240 at The Village at Gulfstream Park in Hallandale Beach, Florida 33009. The gallery is ideal for artists who embrace classic academic structure and technique, yet have an understanding and facility within the modernist landscape in which their work is viewed. Art can appeal to the senses, the emotions and the intellect equally or separately, as long as it connects. Creators who skillfully present their ideas and personalities, constructed with a masterly hand, these are the artists Sirona Fine Art represent.